The Russian chapter of EASE was formed at the end of 2012 after meetings in Moscow between representatives of the Russian scientific journals: Journal of Economy and Entrepreneurship, Journal of International Scientific Research, Journal of Reputiology. The Head of the Russian chapter is Dr. Sergey V Gorin, a Doctor of Economics and Professor who is Chief Editor of the Journal of Economy and Entrepreneurship. Dr Gorin has been a member of EASE since 2009 and has been the driving force behind the formation of the Russian chapter. 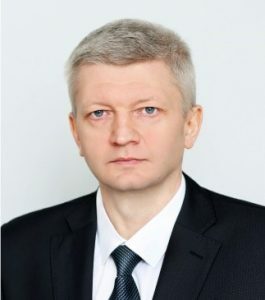 The Vice Head of the Russian chapter is Dr. Alexey N. Gerasimov, a Doctor of Economics and Professor who is Editor of the Journal of International Scientific Research. To facilitate interaction among science editors within Russia. To organize a general regional conference, possibly annually. To promote awareness and use within Russia of the EASE Guidelines for Authors and Translators of Scientific Articles to be published in English. To organize thematic meetings with editors of scientific journals published in Russia. To promote awareness and use within Russia of the EASE Science Editors’ Handbook. Russian translation of EASE Guidelines for Authors and Translators of Scientific Articles to be published in English (updated August 2015). Russian Regional Chapter Seminar on 20th May 2013. First seminar on science communication, Moscow, 25 March 2014. Second Russian (Eurasian) seminar on science communication, Moscow, 04 December 2014. In December 2014 meetings and discussions with representatives of universities (Russia, Azerbaijan) took place. In February 2015 meetings and discussions with representatives of Russian journals took place.